Am I being a good mom? How do I teach my kids to handle difficult situations? How do I keep my child accountable? Will I ever learn to let go? If you have, you will love this episode where you get to join my friends Jen and Nancy who just dropped their oldest kids to college for the first time. 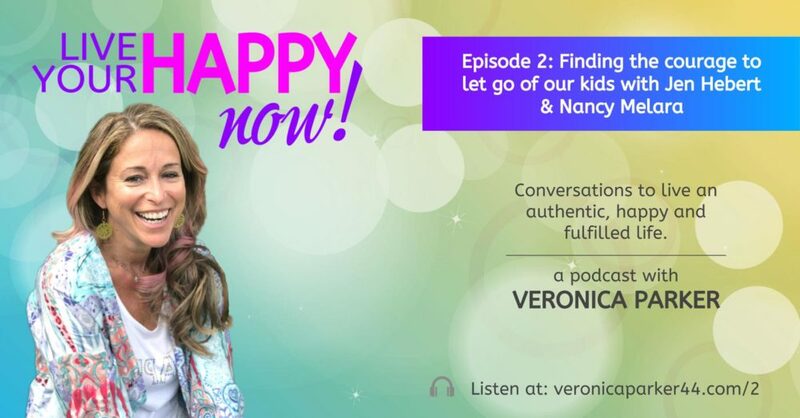 Tune in and find out what it was like to let go and trust their kids would be all right. Kids don’t come with a parenting book and nobody has all the answers. Sometimes hearing another mom’s perspective, can help us find a different way. At the very least, we can feel like we are not going through life’s adventures and challenges alone. We are in this together! Let’s continue this conversation on Instagram @LiveYourHappyNOW. Post a pic with #liveyourhappynowmantra. Thank you for joining me on this episode of Live Your Happy Now. If you enjoyed this episode please share, subscribe and review on iTunes so more people can enjoy the show. Sign up to be notified of new content. Plus, get a FREE Meditation from Veronica! © 2019 Veronica Parker, All Rights Reserved. Website Angel Website Design.